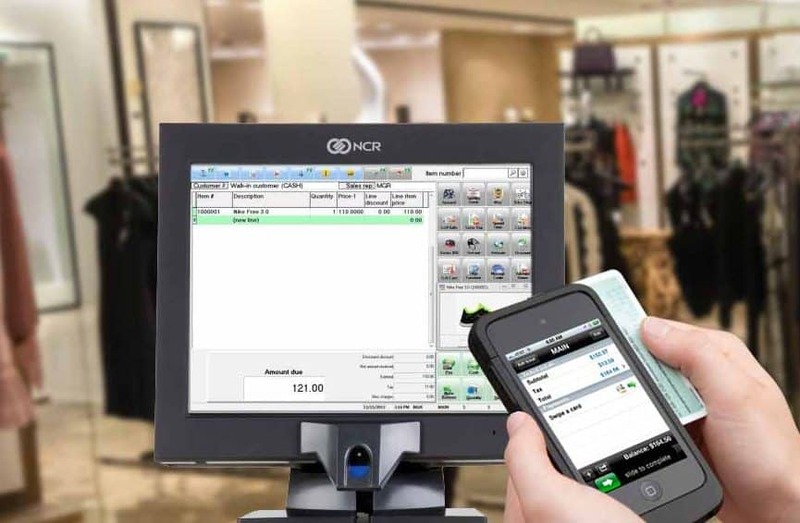 The NCR Counterpoint solution includes an e-mail marketing tool, integrated e-commerce, mobile alerting, built-in gift card and customer loyalty programs and hardware specifically designed for the retail environment. 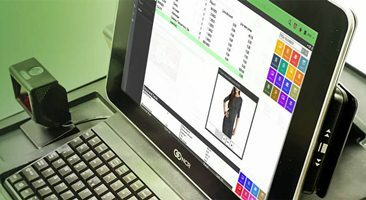 The NCR Counterpoint omnichannel solution is fully configurable and retailers can sell online using the integrated e-commerce solution. The integrated email marketing system allows retailers to use customer data to develop email marketing campaigns. Frankly speaking, we were surprised to find out how few weaknesses this POS system actually has, especially if they are juxtaposed to the long list of its advantages over its competitors. 1.1 Who Is Counterpoint POS For? Who Is Counterpoint POS For? 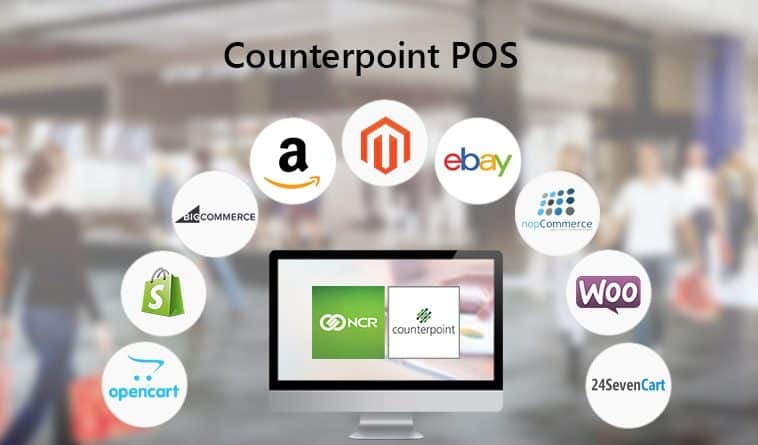 Counterpoint POS is a truly versatile solution, because it can be integrated in a large number of different retail establishments: apparel and footwear stores, theme parks, car dealerships and repair shops, franchise business, gift shops. The list goes on with lawn & garden centers, museums, specialty food stores, sports shops, thrift shops, and even wine and liquor stores. With such wide application, it is not a surprise that this is one of the most popular POS systems on the US market for the time being at least. Mobile alerts give retailers the ability to set alerts on important in-store activities and have those alerts delivered to them in SMS or email format. POS terminals used with NCR Counterpoint systems can be customized to either be a touchscreen or manual entry, depending on need. They also include intersystem messaging and employee tracking (clocking in/out) to provide appropriate communication within a retail operation. With its comprehensive retail POS features and functions, Counterpoint can easily handle sales, returns, orders, and layaways – even on a single ticket. 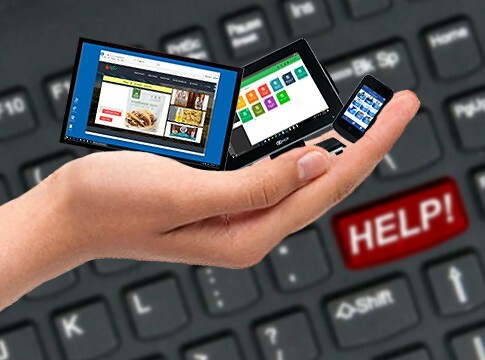 Its configurable touchscreen interface, allows you to tailor the retail POS hardware to fit your business and streamline operations, minimize errors, and maximize profits. 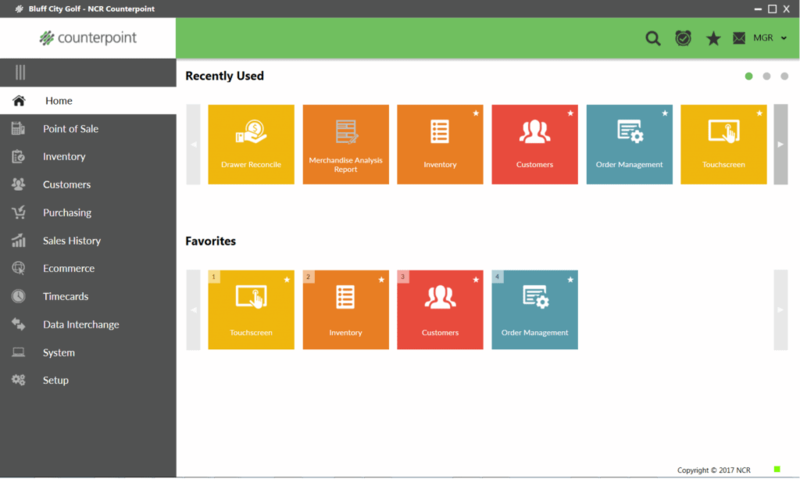 This feature allows you to manage vendor items, costs, and lead times. Counterpoint POS is capable of automatically creating purchase orders for your preferred vendors, or the ones with the lowest prices. With the Smart Purchasing feature you can receive merchandise with or without a PO and automatically transfer the right quantities to other retail locations. 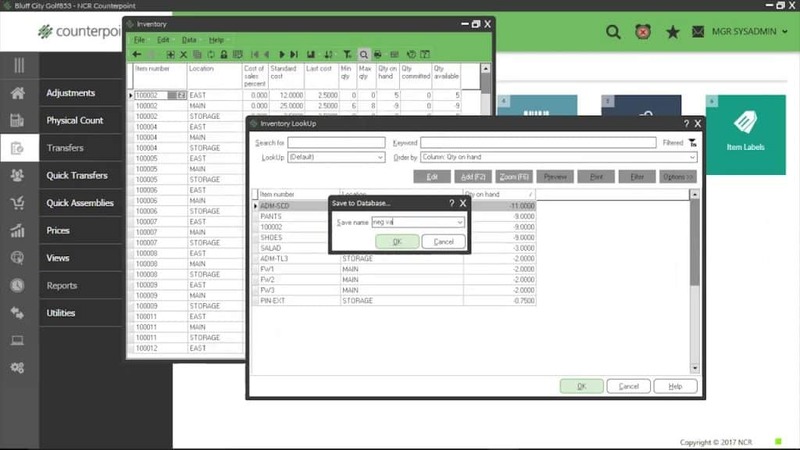 You can even set prices as you receive items, based on target margins you define with NCR Counterpoint’s retail management system. This feature allows you to track everything you sell. You can also check prices and quantities across locations and transfer products between stores. The data-driven price rules enable you to quickly set up promotions or contract pricing, while the sophisticated forecasting tools help you maintain ideal stocking levels and control your inventory costs. This POS solution allows you to manage your inventory right from your hand. Counterpoint MObile lets you perform physical counts, adjustments and receive with or without a PO. This feature gives you instant inventory visibility and lets you check prices, availability, and quantities across all of your stores. Last but not least, you can count your inventory with your iOS devices and export counts to NCR Counterpoint. From end-of-day summaries that help you close your retail store to detailed analysis tools that let you study your sales from every angle, Counterpoint POS can offer you a variety of sophisticated reports. They are designed to provide the information you need to make critical business decisions. The system also lets you view, print, export, and e-mail any report. Last but not least, you can create quick reports on the fly from search results. The customized, industry-determined POS software gives you the functionality you need to own your data, see it the way you want to see it, and use it to boost sales and run your business more efficiently. Flexible reporting allows for analysis of inventory quantities, sales, turns, profitability, and merchandising. Know what’s in stock, on order, and in transit with instant inventory updates. This feature provides multiple levels of security, while the PCI DSS 2.0 compliance make this retail POS system the most secure environment for your data. With this feature you can protect your system using Windows or SQL authentication and make your password policy PCI-compliant with a single click. In addition, the system supports fingerprint readers and user ID cards. This functionality lets your employees log in without having to remember their passwords, while user-specific security settings let you control who is allowed to access sensitive functions. 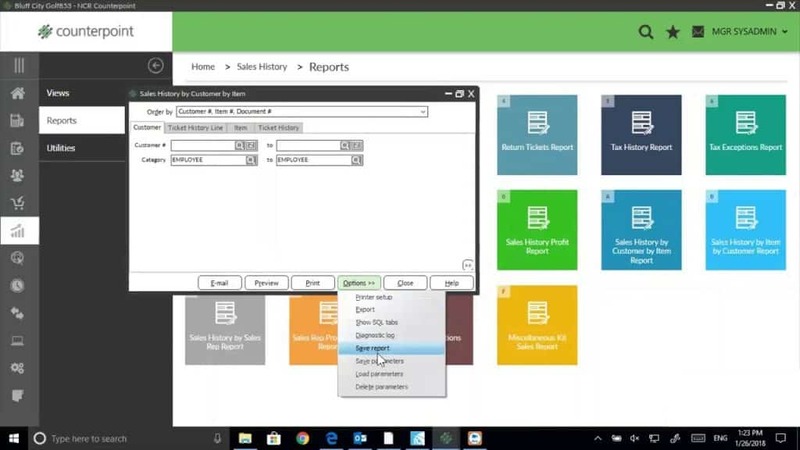 Built-in CRM function allows you to automatically track purchase history as well as capture detailed customer information including product preferences. Notify your customer base when it is time to buy new items they like or let them know when the latest items on your catalogue are on discount. You can use this information to market to your customers. Counterpoint POS’s aftermarket solutions and special-order capabilities allow you to sell items you don’t carry in stock. Track special order items from the customer order through receiving, managing the items inventory throughout the process. The comprehensive layaway processing system allows you to add new layaways, record deposits, view the status and history, and release completed layaways. Order the product you need at the lowest possible price using automated purchasing tools that take vendor multiples, and/or vendor minimums. 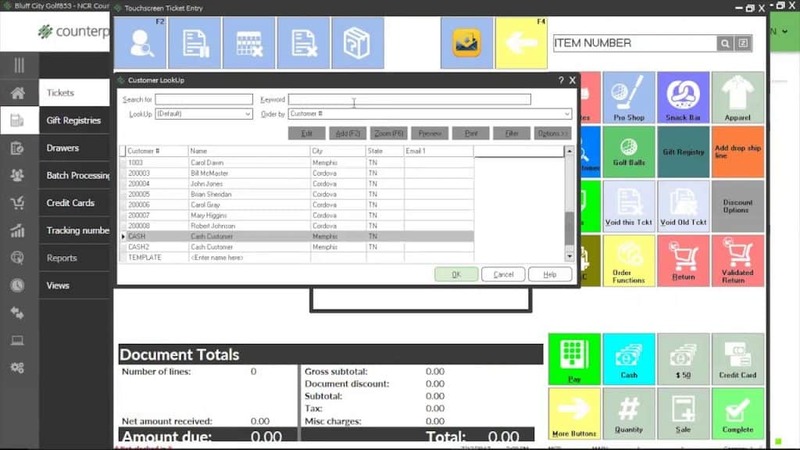 From one screen, calculate quantities to reorder and generate POs based on desired stocking levels. Additionally, consider current inventory levels, commitments, backorders, in-transit merchandise, and open POs. Counterpoint POS is incredibly nimble. It enables you to easily manage sales, returns, orders, special orders, backorders, and layaways on the same ticket. With a custom POS for any industry, credit card and check authorizations take seconds to complete. This keeps your lines flowing, while the intuitive touchscreen point of sale units allows for quick checkouts and easy training of new employees. As a result, the level of satisfaction of your customers is bound to increase. By creating a truly integrated and seamless customer experience with these Counterpoint Point of Sale add-ons, you are bound to impress your customers. From behind the scenes to front-of-house operations, Counterpoint software ensures amazing customer service with every transaction. NCR Counterpoint Mobile Point of Sale means you can sell your products and provide customer service wherever your customers gather: events, sidewalks, tradeshows, etc. The Inventory Management in CP Mobile helps you stay on top of inventory across stores and locations. This POS system seamlessly integrates with Magento, Shopify and Woo Commerce. They open pathways of data synergy between point of sale, ecommerce, ERP, financial, business intelligence, loyalty programs, payment processing and other applications. This enables your business to gain greater efficiency and scalability and incorporate new and emerging technologies as they become available. NCR Customer Connect’s email marketing capabilities enable you to connect with your customers. This relationship will deepen brand loyalty and boost your sales. With this add-on you can finally tap into your customer database and design segmentation strategies to interact with customers in a highly personal way. This new approach will generate higher profits and revenues. 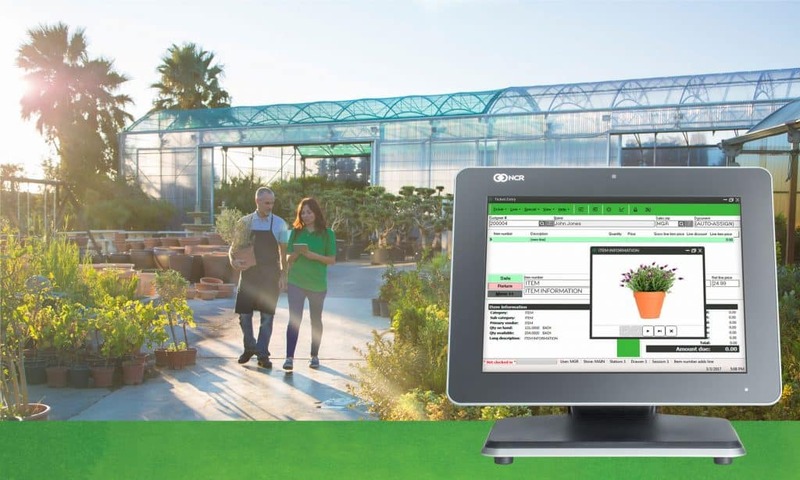 NCR Customer Connect integrates with your existing NCR Counterpoint installation with ease. Using customer information such as purchase history, preferences and other demographic data with the help pf this add-on allows you to target your email marketing into segments. You can create segments for VIPs, loyalty card members, or product specific groups. If you need any help with this POS system, do not hesitate to contact POS Highway. They offer 24/7 technical support to Counterpoint NCR customers to maintain the smooth operation of their systems. Their support call centers are located in New Jersey and Hawaii. POS Highway’s trained support engineers are ready to help customers answer any technical questions and issues related to NCR Counterpoint Retail POS products. Reaching out to them is easy via phone or email, and they can also assist you through remote access. Their experts will help you find bottlenecks, streamline processes, and train you to utilize the full potential of Counterpoint. Their managed IT services make sure your computers, point of sale machines, and other network devices are running smoothly every day. POS Highway provides hardware and software support, maintenance, back-ups, updates, and enterprise level security at a low predictable, monthly cost. Counterpoint is an amazing POS solution that enables you to you build and customize every aspect of the retail experience. In the above review we managed to list only some of its advantages, but the list goes on and on. Bear in mind, however that the process of integration can be quite pricy, according to users who’ve completed it. In addition, Counterpoint POS is based on a server, not in the cloud. This means that you must make sure your server is well maintained at all times.